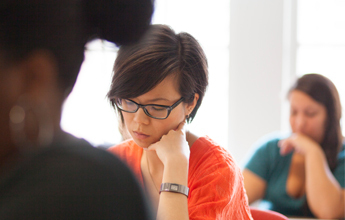 Complete a bachelor's degree through part-time coursework. Choose from 12 majors, including an accelerated business leadership program that can be completed in as little as two years. Earn a Business Foundations certificate as a step toward an undergraduate degree program or to prepare for career advancement. Enroll in SPS undergraduate courses as a student-at-large for personal enrichment or to prepare for future educational or career paths. Finish your undergraduate degree in part-time bachelor’s programs that offer the academic rigor of Northwestern University, tailored for the busy schedules of adults returning to school. Each program carries its own set of requirements, so you can select an academic path that suits your needs. Courses are scheduled on weekday evenings and Saturdays on Northwestern’s Evanston and Chicago campuses. Certain courses are offered online or in a hybrid format that combines online activities with classroom instruction. Choose from 12 bachelor's degree majors, including an accelerated business leadership program that can be completed in as little as two years. 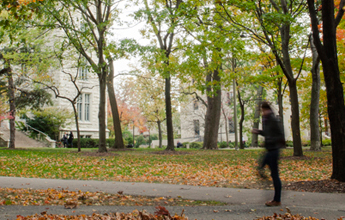 SPS programs lead to one of three Northwestern University bachelor’s degrees. Two of the degrees—the bachelor of philosophy (BPhil) and the bachelor of science in general studies (BSGS)—are conferred by the Judd A. and Marjorie Weinberg College of Arts and Sciences. The third degree, the bachelor of philosophy in communication (BPhilCom), is conferred by the School of Communication. A rigorous combination of Northwestern University science curriculum and courses in human biology that are unique to the School of Professional Studies, the major develops and enhances the intellectual and creative potential of life sciences students, providing them with deep and current knowledge of human biology. An ideal major for students with multiple interests and diverse talents, communication studies provides theory, tools, and techniques for analyzing, managing and improving communication in every arena of professional and personal interaction. The major in communication systems combines the theoretical focus of communication studies with the practical skills of information technology. This flexible, interdisciplinary study prepares students to perform on the cutting edge of modern media systems and develop skills that are critical in a rapidly-changing field. Economists study how individuals, families, companies and nations confront difficult choices about how to use limited resources to meet various needs and wants. The major in economics enables students to understand the basic concepts, theories and techniques of economics and become familiar with the way economists think about problems and devise solutions to them. The writing major offers students disciplined training in the writing of fiction, creative nonfiction and poetry. The major relies on workshop formats to provide feedback and nurture talent. A robust literature component further anchors writing within a context of general literacy. Engage in interdisciplinary study of human culture, arts, and history to develop critical thinking and communication skills that apply to a variety of fields, professions, and advanced degrees. Information systems is the branch of computer science that focuses on analyzing the information needs of organizations and devising IT solutions that meet cost requirements and promote the organization's strategic goals. Students learn about current and emerging information systems while developing the communication skills that allow them to work collaboratively. Students majoring in mathematics acquire an understanding of both the foundations and the frontiers of the discipline. This major offers a variety of courses that address the many diverse applications of mathematics. Organization behavior is an interdisciplinary major that combines the theoretical understanding of an organization’s influence on the behaviors and attitudes of individuals with practical applications of that influence within an organization. The major gives students a broad conceptual foundation that allows them to maximize their roles within organization. The accelerated Business Leadership program gives busy professionals the opportunity to complete their undergraduate education at Northwestern University in as little as two years. Students complete an interdisciplinary major in organization behavior with a focus on business and leadership. Students learn not only about organizations but also how to maximize performance within organizations as they develop communication, teamwork, analytical and problem-solving skills. Psychology is the scientific study of behavior – how people perceive the world, think and act. In addition to the obvious benefits of an understanding of human behavior, the major in psychology emphasizes the development of critical thinking skills and practical experience developing research ideas, analyzing data and communicating results. The major in radio/television/film offers education in the history, theory and production of media. Extensive and interdisciplinary, the program offers a range of perspectives on media forms from cinema to broadcast television, alternative media to emerging technologies. Pursue interdisciplinary study of human nature and evolution, social and political structures and issues to gain problem-solving and critical thinking skills that apply to a variety of fields, professions, and advanced degrees. 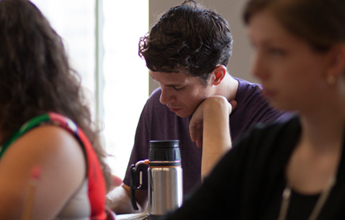 Learn more about application steps and admission requirements for evening undergraduate degree programs at Northwestern. Use these tools to see course offerings and locations, important deadlines, and academic calendar dates.